In 1926, Hugo Gernsback gave birth to Amazing Stories Magazine and branded this wonderful flavor of fiction “Scientifiction.” Yes, science fiction existed long before Hugo, but no one had yet pointed a finger at it and labeled it as standing apart. As was discussed last week, science fiction (as it is now known) is habit forming. Since those early days, science fiction has evolved into a many-tentacled beast which sprawls across the globe. I must confess that my addiction to science fiction involves a very powerful interest in the history of the genre—where it is now and where it is going. From such humble beginnings, science fiction has grown to dominate western culture. Humans of all ages are exposed to science fiction every day. Science fiction has invaded our comics, cartoons, television, books, games, magazines, internet, movies, and every other corner of popular culture. Science fiction has helped shape the direction of science and invention by opening minds and challenging them to consider the possibilities. Like every facet of human history, science fiction has been chronicled in many different ways, depending on who is playing historian. For each of us, science fiction has become a friend. Our view of its evolution depends on our relationship with it. If we stand back and look at the industry yesterday, today, and tomorrow, one might suppose that our view of science fiction takes on three parts. 1) The way we perceive science fiction. 2) The way others perceive science fiction. 3) The reality of science fiction. Since I already know how I perceive science fiction, I thought it appropriate to see how others perceive this amazing industry. With that in mind, I asked some of the brightest minds in the science fiction industry how they perceived this ever evolving juggernaut, how the science fiction industry had changed since they first found their way into it, and where the industry was headed. What follows is their amazing insight. I don’t think I have a very good view of the changes; it’s like I’m a fish in a river, and it’s been flowing downstream, and presumably through curves and different countryside, but how would I know? My perspective is limited by being inside it. Lots seems familiar. There are publishers, story markets, editors and agents and book-sellers, readers; it’s still a team effort as an industry. The internet is a new platform, and mail-order books are bigger (amazon), and self-publishing can work like it couldn’t back when I was young. These are major differences, I think. I think it looks like a lot of the industry will move to e-books and away from physical books and physical bookstores, but the physical side will always remain as a kind of love of objects, and because it remains a really good tech: several hours of immersive entertainment in a small cheap resilient bundle of paper. So, I think a balance of platforms will be established by practice and preference, and publishers will continue to exist, as people making choices and letting readers know what is considered the very best stuff, so the readers don’t have to dig themselves through the huge number of texts out there. So I see a certain stability in all the changes. But this is an easy and conservative call to make. When I started, SF was dominated by magazines like ASTOUNDING and GALAXY, and SF in book form was very much a secondary affair. Each magazine published a variety of stories and no one story set the pace. Over the years the magazines dwindled and books became the core of the field, which meant each novel had to stand or fall commercially on its own merits, without the benefit of the sort of companion fiction that magazine publication provided. 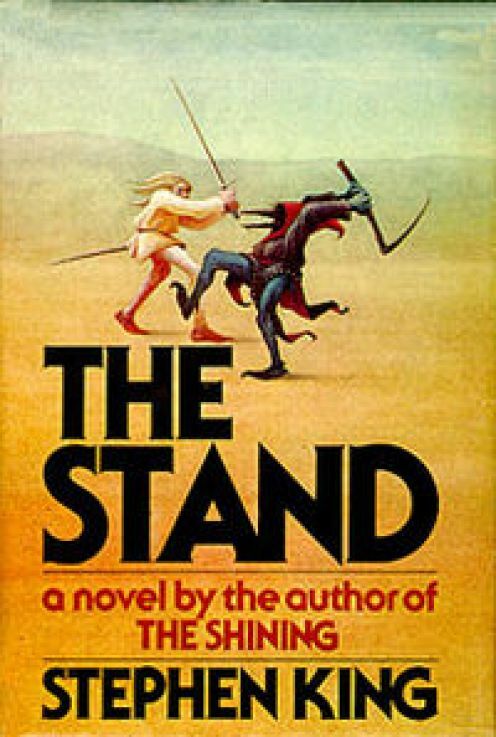 This, I think, ultimately produced intense emphasis on title-by-title mass-audience appeal, and I don’t think that that has been beneficial for the growth and development of science fiction. It has become professionalized. Think of John Campbell. He had never had an editorial job when Tremaine unexpectedly dumped Astounding on him, but he took off running. In a smaller, less confident way, so did I. The obvious: The number of book publishers and stores have shrunk but more books are being published. Magazines have folded, webzines have come and gone. Print on demand and desktop publishing have made it far easier and cheaper to publish books but the distribution systems are screwed up so it’s harder to get the books out there into stores. E-readers have changed the way some people think about reading. Fantasy has surpassed science fiction in the number of titles being published. This may be because The future is here, so perhaps it’s more difficult to speculate about it. Or because “big idea” discoveries in technology and science have slowed down. J.K. Rowling opened the door to something called “young adult fiction,” something that always existed but had no specific name and made it into a “thing.” And the publishing world “discovered it” so thus, marketed the hell out of it, which it’s still doing. And probably a half dozen other things I just haven’t thought of. As you say, science fiction has had tremendous influence on virtually every field of entertainment, and has also become a respected source for understanding potential future developments. In publishing, science fiction has grown from a “nickel and dime” niche category into a major genre. More importantly, ideas and attitudes that began in the science fiction field now permeate publishing in general, as well as movies and TV. With the advent of digital publishing, the field has mushroomed. But now that it’s possible for anyone to get published, the problem of finding good material among the flood of dross has become even more difficult. 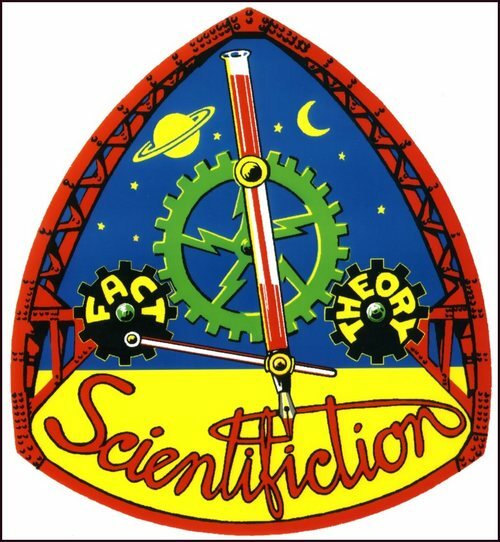 When I got into the field, science fiction was largely magazine fiction, and the half-dozen magazines that had survived World War II controlled what got published and what got defined as science fiction. 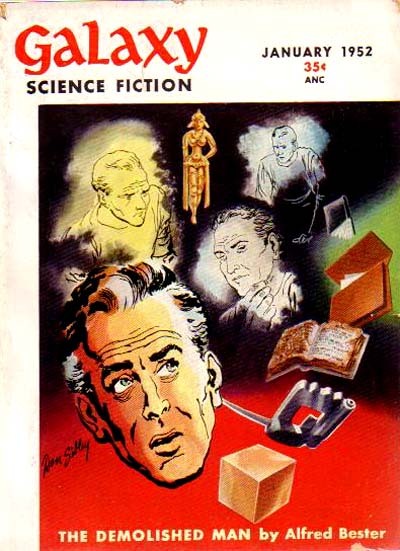 John Campbell defined science fiction as what science-fiction editors published, and the genre was defined as what John Campbell published in Astounding. It was a small field (some people called it a “ghetto”) that could support only a few full-time writers, so most were part-time enthusiasts who wrote largely out of love. There were few books (almost none for twenty years between the creation of Amazing Stories and the end of World War II), so everybody had read everything and discussions could assume a mutual experience. Today there are more than two thousand books published every year, something for almost every taste, but only three magazines of diminishing circulation (but lots of on-line publications), and novels are not only the principal source of reading experience but of income as well, and can support maybe hundreds of full-time writers. There is something being published for almost every taste, but little that any two readers have experienced or can agree upon as being central. When you include films, television, and games the experience becomes so diffuse that rather than a readership or viewership one can only describe overlapping fandoms. The writing itself, at its best, rivals the best in fiction anywhere. I often have the feeling, however, that the substance, the idea impact, the sense-of-wonder doesn’t match the quality of the writing. Maybe that’s because I’m no longer twelve, or maybe the big, sense-of-wonder ideas have been used up and now writers are focusing on how to package them better. Or maybe the writing workshop students have brought their sense of literary values to the field and are thinking in small-scale human terms. Or maybe the field is waiting for the next transformation. That used to happen every ten or twelve years with the creation of a new magazine or a new editor. Once the magazines lost their central influence, change became more difficult. Cyberpunk was a small-scale explosion and more recent singularity fiction, but the big transformation may be waiting for a writer (or, less likely these days, an editor) who can be the midwife to its birth. Re: publishing, the two big shifts that I have witnessed since I came along as a new pro in the mid-80s have been the magazine distribution implosion of the mid-90s, which constricted the midlist paperback market, and the (long-trumpeted) current rise of e-books, which is blowing the mass-market paperback industry out of the water altogether. I and many other writers are swimming madly through this change right now. 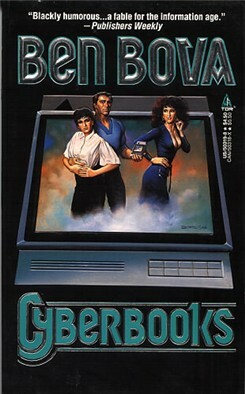 Back-when (1990, I see on, heh, Amazon), Ben Bova wrote a near-future SF novel titled Cyberbooks, in which he got one thing very right—that the shift would not be driven by the publishing industry itself. I shall have to reread that book sometime soon and see what else holds up. Re: SF itself… I would like to say, the excessive amount of dystopian fiction, but then I think back on all those nuclear Armageddon tales I read back in the 60s. So, rather, it’s the absence of much except the dystopian flavor of fiction that I may be perceiving. We could use more variety of vision, here. And, God knows, some comedy. I try to do what I can. Clearly, the biggest source of change in publishing between then and now has been in e-publishing—in particular, e-publishing via the Internet. And that change is continuing to happen as we speak. So predicting the future of the publishing industry is a dangerous enterprise right now, since no one can really say what the “final” shakeout will be. There may not even be a “final” shakeout, since the industry might just remain in a perpetual state of flux from now on. I do think it’s safe to say, however, that traditional book publishing and publishers will have to continue to change rapidly in order to take advantage of—rather than being overwhelmed by—e-publishing. I myself have been a bit slow getting up to speed in this regard, although (as I mentioned earlier) I have made Buddy Holly Is Alive and Well on Ganymede available as a free ebook. Very few of my other works, however, have been available as ebooks up to now—except as pirated copies. Other than BHIAAWOG, my only novel currently in “print” as a legitimate, legal ebook is Laughin’ Boy (available as a Subterranean Press ebook via Baen). But that will change soon: Late this summer, I plan to make Blackburn available for the Kindle and other e-readers, to be followed by Lunatics and the rest of my backlist. I’m really looking forward to doing that, too. E-publishing will give me the opportunity to reach more readers than I’ve ever reached before. No idea. But I cannot stress enough how awesome having a good publisher is. I think people should pursue success wherever they can find it, and I have no problem if their path is not traditional. But man, I would not want to do this s**t without the amazing support of a great agent and a publisher covering my back. My first three books are international best sellers, in thirteen languages and seventeen countries. No way I could have done that on my own. If someone can, all the power to them. But I don’t think traditional publishers are going anywhere, personally. And I don’t want them to. I don’t want any particular e-book vendor running a publishing monopoly. Now that we have explored how these industry giants view the changing face of science fiction, there are only two questions left. We will never know the reality of the industry due to our own limited human experience, so that eliminates one of the questions. The final question is how you perceive the changing face of science fiction. Maybe if we collect enough viewpoints, we might discover the truth. 5 thoughts on "The Changing Face of Science Fiction"
In response to Lois McMaster Bujold: Yes! Yes! Please can we have more laughs? The scarcity of good humor in sff is very disheartening. We need more and not of the slapstick, over-the-top silly kind. Just basic, grin-inducing situations and dialog. A few years ago I started taking science fiction (speculative fiction, really) not more seriously, but more… looking at it as a whole, maybe? Considering my relation to it? It happened when I committed to writing speculative fiction, as opposed to being kind of all over the map, and to blogging about it. One of the coolest things about it is the way that yes, it pretty much touches on everything, but there’s also a fairly focused community of people that are thinking and commenting about it. It’s been fun to observe, and to try in small ways to join the conversation.